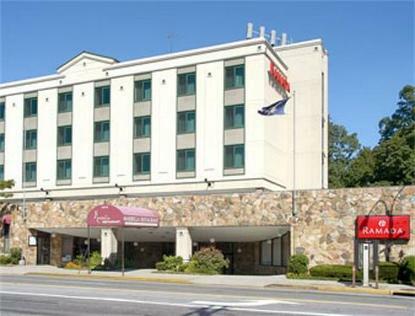 The Ramada Adria Conference Center is ideally located in the Queens Boro, between Long Island and New York City. This Bayside hotel is just five miles from LaGuardia International Airport i and ten miles from the JFK International Airport. The Ramada Bayside Conference Center is minutes from many popular attractions such as the Statue of Liberty, Yankee Stadium, the NY Met' s Shea Stadium, St. John's University, Botanical Gardens, Flushing Meadows Park, and all the attractions in Manhattan. This Bayside hotel is located on Northern Boulevard which can be easily reached via the Cross Island Parkway, Grand Central Parkway, Long Island Express Way, and Clearview Expressway. Come to enjoy an award winning dinner or cocktails in the Marbella Restaurant, located in our Bayside hotel. As our guest you will enjoy our renovated rooms all equipped with microwaves and refrigerators, free wireless highspeed, and on-site free parking. Ramada Adria also offers complimentary passes to a twenty-four hour health club within walking distance.